Pleasanton bed and breakfast travel guide for romantic, historic and adventure b&b's. 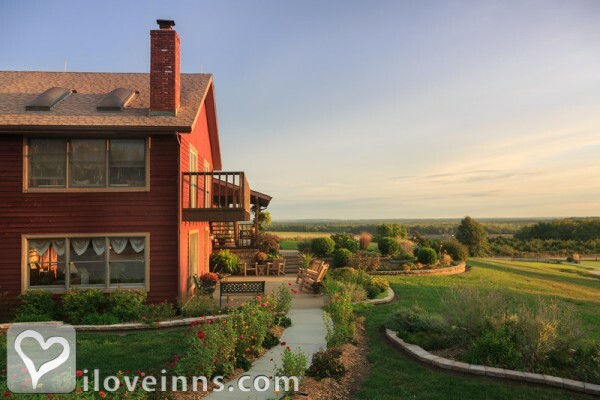 Browse through the iLoveInns.com database of Pleasanton, Kansas bed and breakfasts and country inns to find detailed listings that include room rates, special deals and area activities. You can click on the 'check rates and availability' button to contact the innkeeper. Pleasanton, Kansas is the site of Mine Creek Battlefield Park a historic site at the Potosi Township. The Trading Post Museum can fascinate visitors with its many artifacts that date back to the 1800s. The best place to spend quiet afternoons is at Lakeside Park. Visit Marais Des Cygnes Wildlife near Pleasanton. In Valley Township Massacre Memorial State Park is an important historical site as is Fort Scott National Historic Site. Visit Linn County Museum, Linn County Fairgrounds, Bates County Fairgrounds and Billie Creek Village. John Brown Memorial Park and Museum, on the other hand, is at Osawatomie. A trip to this historic site can be arranged at one of the Pleasanton bed and breakfast inns. By Cedar Crest Lodge.